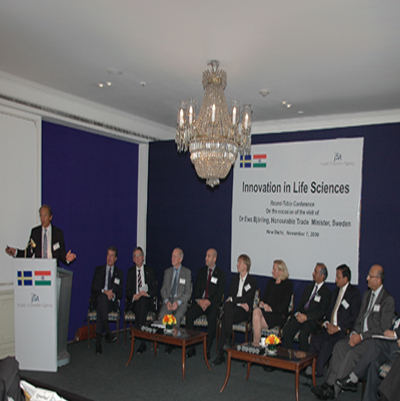 Mr. Sushil Handa joined an assembly of representatives from top Swedish and Indian lifesciences companies such as Apollo Hospitals, Wockhardt Research Center, Bluefish Pharmaceuticals, and many more to hold a discussion on “Innovation in Life Sciences”. © 2010 The Fifthveda Entrepreneurs. All Rights Reserved.